Bolster your recruitment strategy to yield the right prospects and avoid summer melt. Ah, summer! This is a particularly challenging time of year for admissions teams; industry officials must not only plan for fall recruitment campaigns, but also maintain meaningful engagement with admitted students so they can meet their enrollment goals through yield management. Juggling the two may become overwhelming. Target your audience: Knowing who you want to reach will help to streamline the process of building early connections. Don’t simply aim for more applications. It may be that your institution doesn’t really need more students but the RIGHT kind of students. StudentBridge’s Personalized Engagement Platform was created with these tasks in mind. The tool works to both gather data about prospects but to also help admissions officials navigate the data to recruit the prospects they want. Share your story: Prospects in the awareness stage are wondering what it would be like to be a part of your school. By sharing an intimate part of your institution’s story you are giving the prospective student a view into what their life could be like as a student on campus. Some things to consider sharing are school traditions, popular student events, and testimonials from current students. Using video in your approach is key. Share content and connect through relevant channels: Do not wait for students to make first contact. You can reach out via email, text, and social media. (The Personalized Engagement Platform also helps to identify which of these channels is most used by your targeted audience) As always, keep your content short and easy to navigate in order that the attention of students don’t wander. Assess how well your different channels of distribution are doing: Did you open the right social media accounts to connect with prospects? For example, is a snapchat necessary to build engagement or should you forego that platform at this time? Have you made the effort to consistently post on social media? These are some of the questions you should be asking yourself. Make sure you understand your social media strategy; it is important to know which platforms you aim to focus on.Although quantifying your success in some of these channels may prove to be difficult there are ways in which you can be sure of your methods. The trick is to work smarter and to use the channels you feel are right for your institution. To beat the whack-a-mole admissions game you must work smarter. This means your yield marketing efforts must be aligned with admitted students communication habits and expectations. For example, most students express that they are more comfortable with text messages than phone calls. 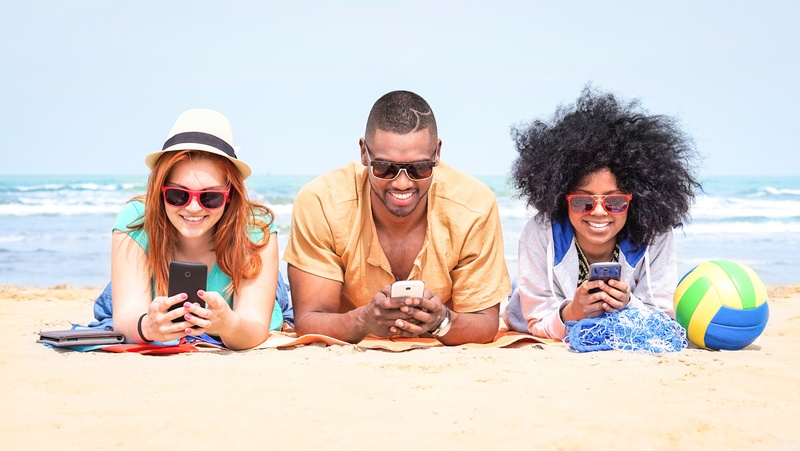 Not only are connections made through text easy to personalize and cost-effective, various studies show high schoolers and young adults are more open to communication through text. Use such information about students to streamline your yield marketing approach. Personalization is imperative! Our personalized engagement platform will help you to segment your admitted student population. Separate students according to certain characteristics (honor roll, athlete, student government leader, etc) and then cater content specific to those characteristics. Segmenting through our platform gives you the ability to collect valuable data on specific types of students, thus optimizing your enrollment efforts. Stay away from what we call the whack-a-mole approach to yield marketing. Similar to the whack-a-mole game in arcades, more and more admissions officials find themselves being reactive rather than proactive; often this means working hard to reach admitted students but not yielding satisfying results. Keep these best practices in mind to survive the summer melt and be prepared to reach beyond your fall admissions goals.